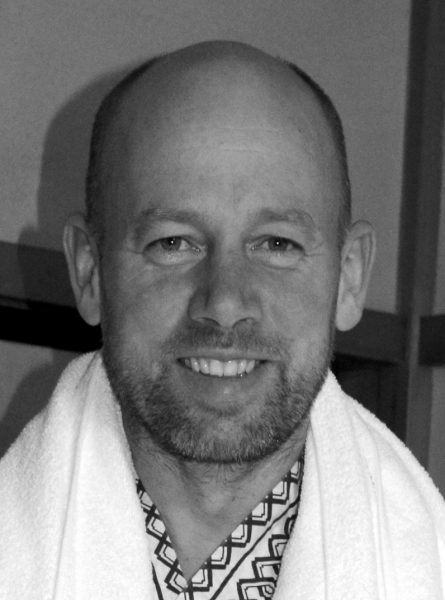 Christian van der Leedan (aka Fanta) is from south Germany, living in Munich, exploring the world with or without sport equipment. Sadly, his cat Prizzi does not want to come along. He is well traveled and recently returned from a four weeks kite surfing trip in Brazil and shares about his trip below. I started out kite surfing in the Philippines in 2015 and was immediately hooked. It took me around 10 days until I was confident enough to go out on my own without a kite instructor. So, the year after, I decided to use my trip to Chile to have a stopover in Brazil for kiting there. And this year (Nov 2017), I am back again. Four weeks in the North of Brazil only for kitesurfing (or aka kiteboarding). First of all, there is wind all the time. I have not had one day without wind here. Second, it is about weather and climate. Here, you have water temperature of 27 degrees and outside temperature of 30 degrees. Since there is always a breeze, it is not too hot. It is shorts and T-Shirt from the time you leave the airport in Fortaleza and board shorts and rash guard when kiting. So where exactly is kitesurfing possible? In general north and south of Fortaleza is good for kiting. 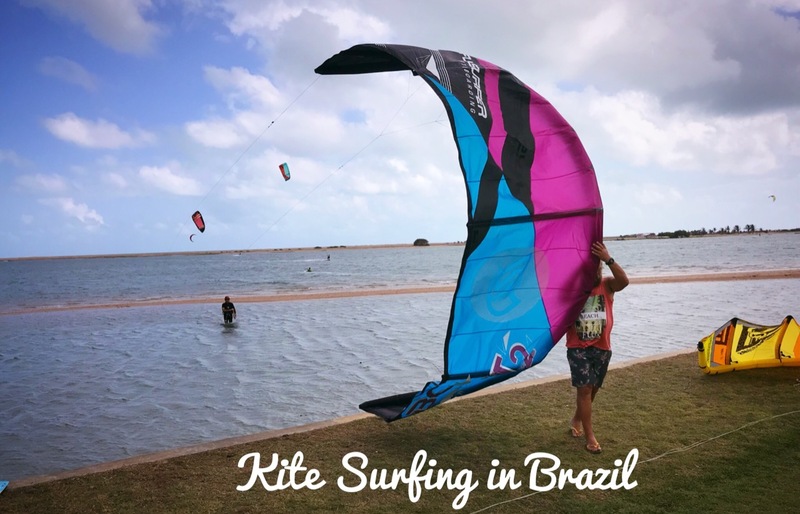 The north of Brazil is full of great kite spots overall. It is a long, sandy coastline from the Amazonas down to Natal where you find the nicest kite spots. They often include some kind of lagoon with flat water and access to the ocean. Depending on the tide, they fall dry in low tide and get filled in with the high tide. So, the spot at low tide is completely different than the high tide. How is Brazil as a kite surfing spot for solo travelers? 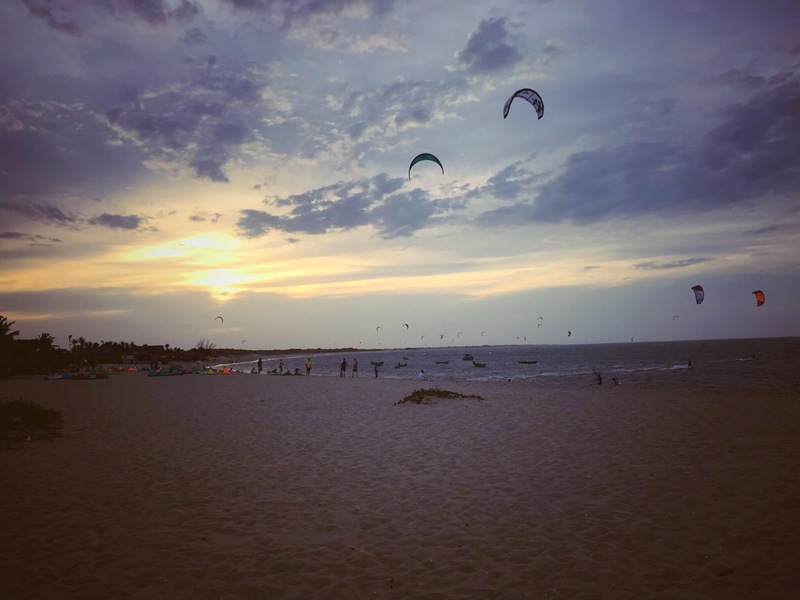 Kite surfing in Brazil is great for a solo traveler like me. I booked everything individually (flight, pousada etc). Even for going around I only booked half of the pousadas in advance. This way I was flexible and when meeting other people, I could join them in their travel plans to explore other areas. Here in Brazil I met so many people (Europeans, mostly German speaking) so getting into contact is generally very easy. Most of the kiters travel solo or in pairs. The pousadas I have visited were mostly German speaking. 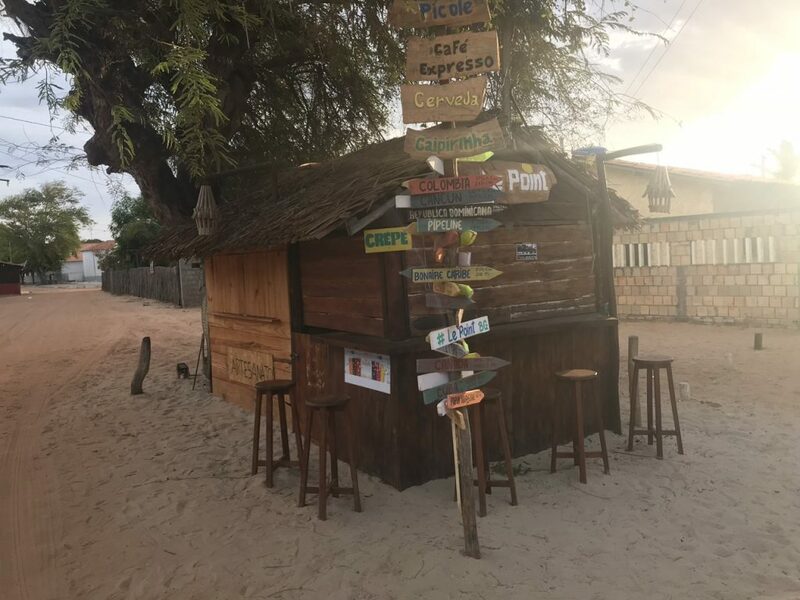 They have been started by kite surfers and most of the guests share the language of the owner. Probably since the guests are coming there by recommendation from other kiters, who, incidentally, speak the same language. 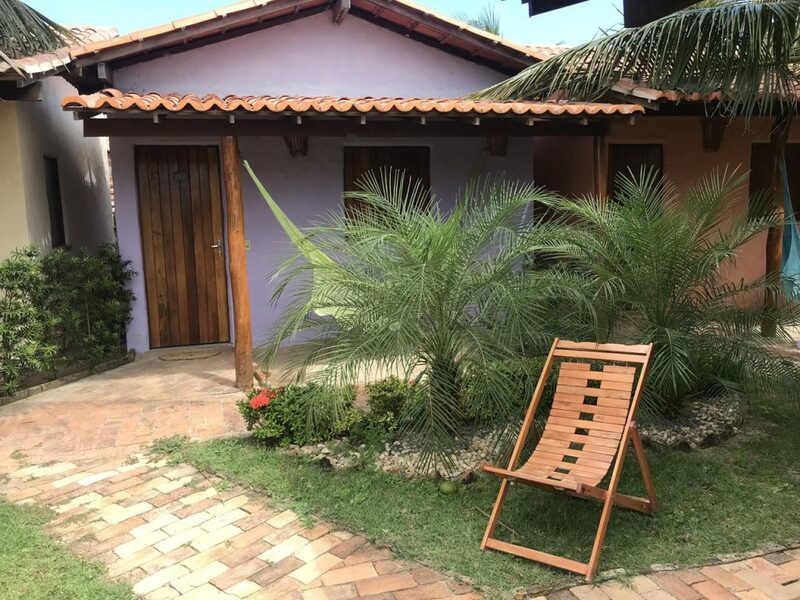 How was traveling to Fortaleza and getting around in Brazil? I flew to Fortaleza from Munich with TAP and paid around 1,100 Euros for flight including an extra kite bag. TAP is flying daily, Condor is flying twice a week to Fortaleza and I heard that KLM is also starting a service to Fortaleza from Amsterdam. In the main season October/November the flights are pretty full. Especially check with the airline if they have space for your kite bag ahead of booking. Getting around in Brazil is either by private shuttle (ask your kite pousada about it) or by rental car. Your cheapest option is taking the bus. I’ve taken a rental car and paid around 11 Euro per day through one of the booking sites. I bought my insurance through icarhireinsurance, so I don’t have to pay any extra packages to the rental company. The rental company reserved 9,000 BRL (around 2300 Euro) on my credit card as a deposit. So be sure to check you have sufficient funds or credit on your card. For navigation, go the google maps route. It worked well for me. Driving in Brazil was easy. You just need to watch the speed bumps on the road, since they are massive. What to do if you are new to kite surfing? I would advise you to go to Ilha do Guajiru and learn it there. It is possible in all other spots as well, but in my opinion, learning there is the easiest. In general, you can learn at any of the spots. They all have a kite school and you can also rent the equipment there. Maybe check via email before booking if a course is possible and how much it would cost. Now what about the budget? My 4 weeks here were not cheap. You can expect to pay between 30 and 50 Euro per night at the pousada (including breakfast). Eating out is around 20 Brazil Real (5 Euro) for a mid-day snack and around 40 BRL (10 Euro) for an evening meal. Caipirinha is usually 10 BRL (2.50 Euro). I am calculating with at least 60 Euro per day when I am in this part of Brazil, plus cost of transfer and the flight. Cost of transfer can vary, e.g. to Macapa a private shuttle will put you back 250-300 Euro whereas the bus ticket would be around 25 Euro. My car including gas and insurance was 550 Euro for the 4 weeks and the 1800km I drove there. Money: easiest is to retrieve money at the airport. On the 1st level there are several ATMs. There is not always an ATM in the vicinity of the kite spots. If you take a transfer, you might ask them to stop at an ATM. Bradesco Bank lets you retrieve 1000 RBL at once, and you can retrieve multiple times. I had the experience that in Itareme the ATMs were sometimes empty. 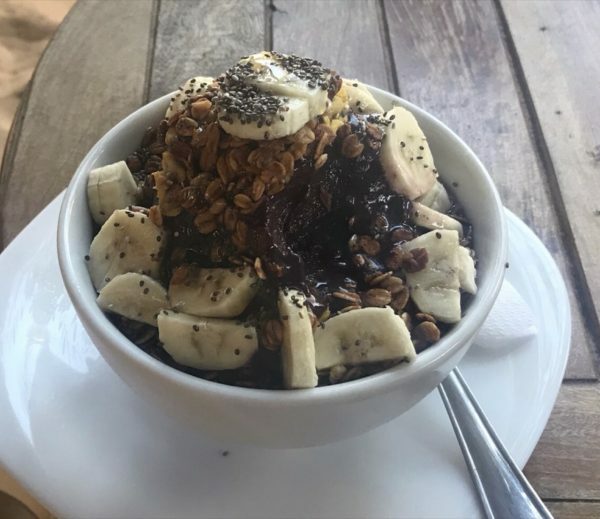 One thing to eat here is Acai. It is a sorbet style of mushed berries, served with banana, some oat meal and sweetening. It is a perfect mid-day meal here. And, you need to try the different styles of Caipirinha, either traditional with lime or with fresh maracuja pulp. Also, when it comes to food, meat is very big part of their cuisine. What else can you do there besides kite surfing? So, you have decided on coming to Brazil for kite surfing, but want to add something else to your trip as well? Like nature or sight-seeing? Sadly, there is nothing much to see around these kite surfing spots, besides beach, water, wind and sun. 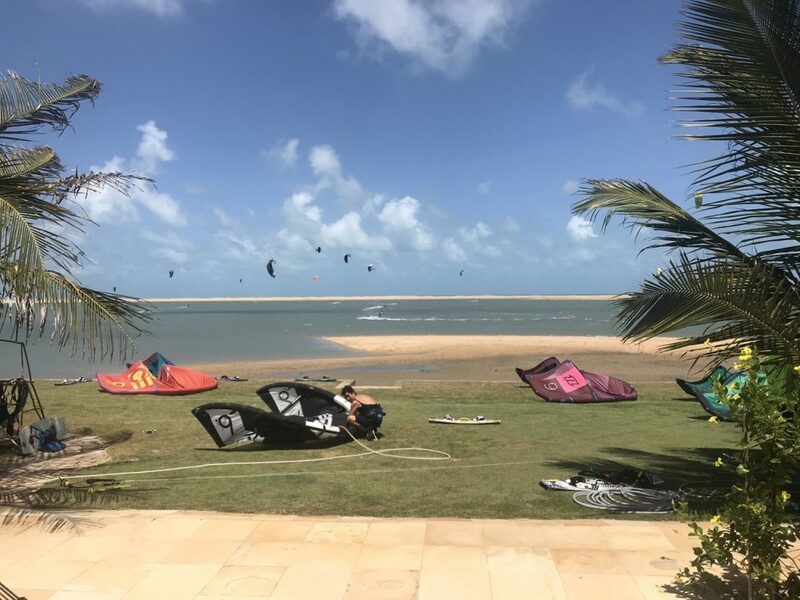 You can combine your kite trip with a trip in Brazil, but around the kite spots and the inland it is just sand, palm trees, bushes and maybe some kettle. 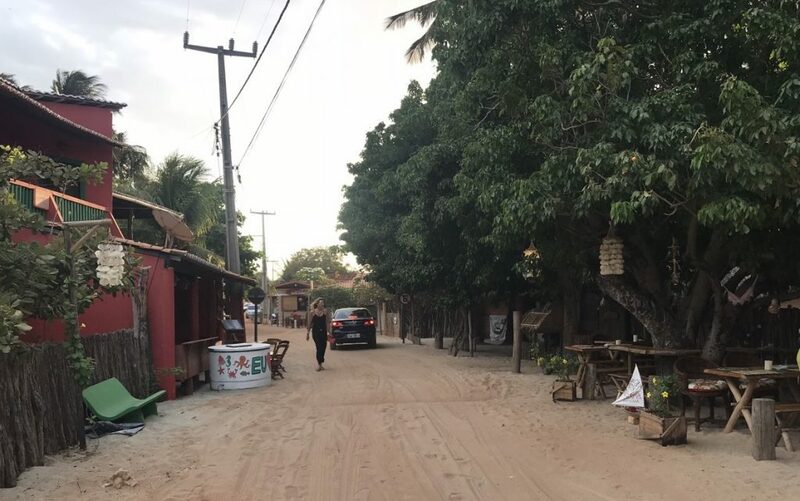 There is one town, called Jericoacoara, which is worth a day and night trip. It is only reachable by 4×4, sitting in a natural reserve in the dunes at the water front. Getting there is by shuttle from Jijoca with a shared 4×4. Many recreational activities start from there. The only thing that Jericoacoara is not good for is kiting. So, I have not been there myself. But, look it up and check it out and see for yourself! 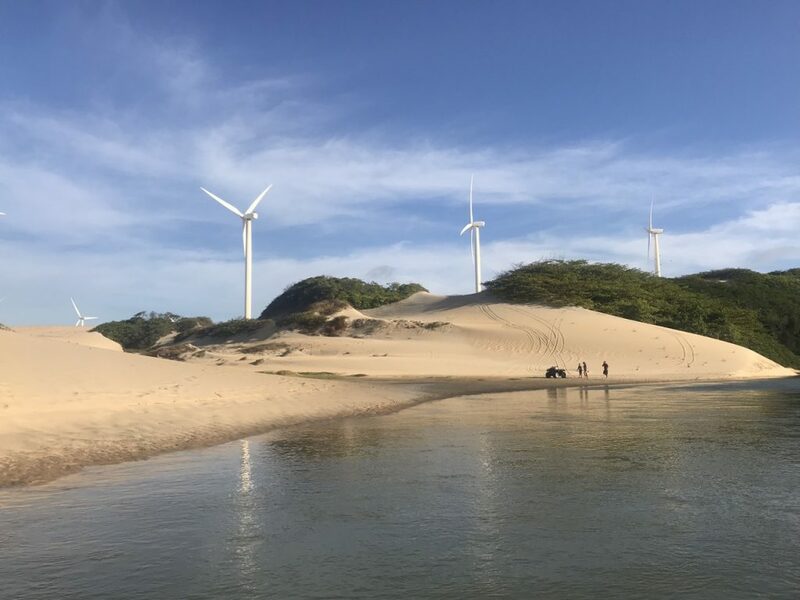 Other than this, you can fly to some other regions of Brazil and opportunities are endless, but the spots for kite surfing do not offer much more. So, coming to the “big thing” in Brazil that all foreigners are talking about: violence and crime. To make it short, all kite spots I’ve visited are safe. They have the normal level of crime, but no armed robbery. I was just careful to put my kite stuff away at night into the kite storage but I have not heard one case of theft while I was there. After flying into Fortaleza, my first stop was Barra Nova, 1.5h drive south of Fortaleza. 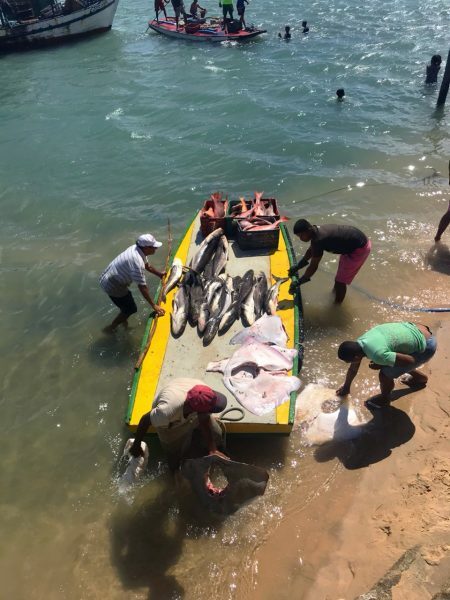 Barra Nova is a small fisher village next to a river mouth. 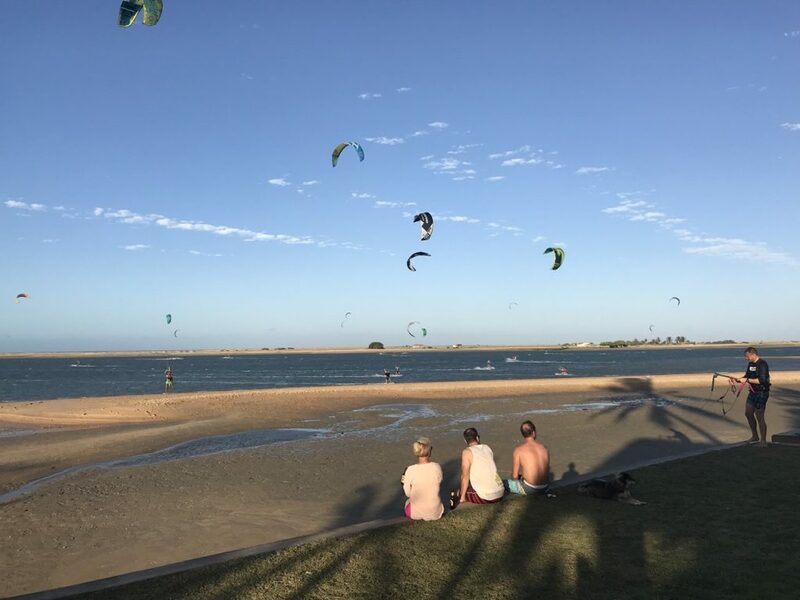 There is a lagoon where you can kite surf during the high tide and some pools near the ocean that are shielded from the waves during the low tide. When I was there, the only pousada with guests was Escape Pousada, run by Daniel, an Austrian kite surfer. We were around 15 guests. So, on the water it was never really crowded. Breakfast there was delicious. I spent most of my 4 days here at the pousada. One night we had an open fire in the back yard, really nice. Wind is not so strong and I took my 12m kite all the time. Check out the restaurant in the middle of town, called Claudemir. The Carne de sol is delicious there. 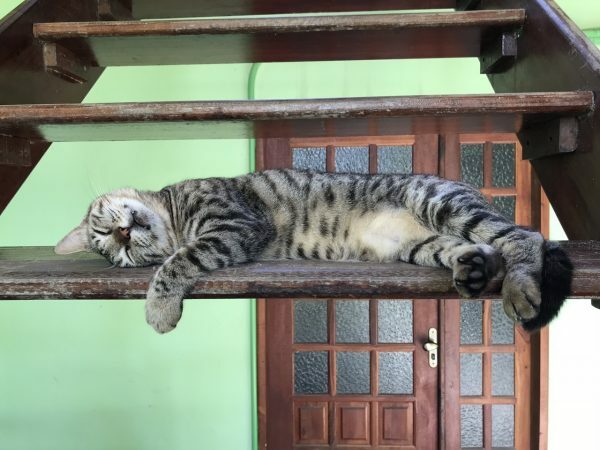 The perfect spot. 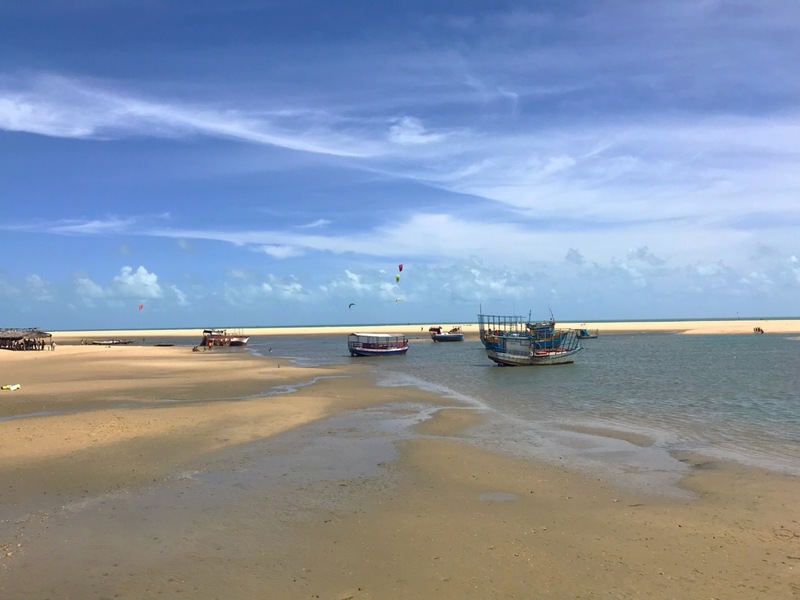 You can kite on the lagoon, do a down winder from Almofala through a river, go over the dune and kite on the open ocean or go down to the river mouth if the tide is too low. The lagoon is huge and pretty long. There are only kite pousadas here, the next village is 5 minutes by car. I met a lot of people from last year here at 7bft kite pousada. The pousada is run by two Germans (Jörg and Markus). Great place to party, hang out and kite. Since the lagoon is so long, beginners have the option to stay out of the hair of the others by just going further downwind. Wind here is more than in the south, so I was mostly on my 9m kite. Ilha is around 250km from Fortaleza, and the next town is Itarema. To get there it is either by private shuttle or the bus. In Barra Grande I spent just one evening. 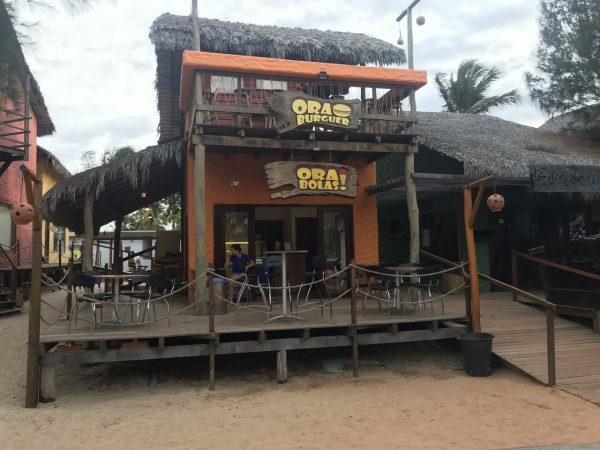 I was very impressed, since Barra Grande has so many eating out options. 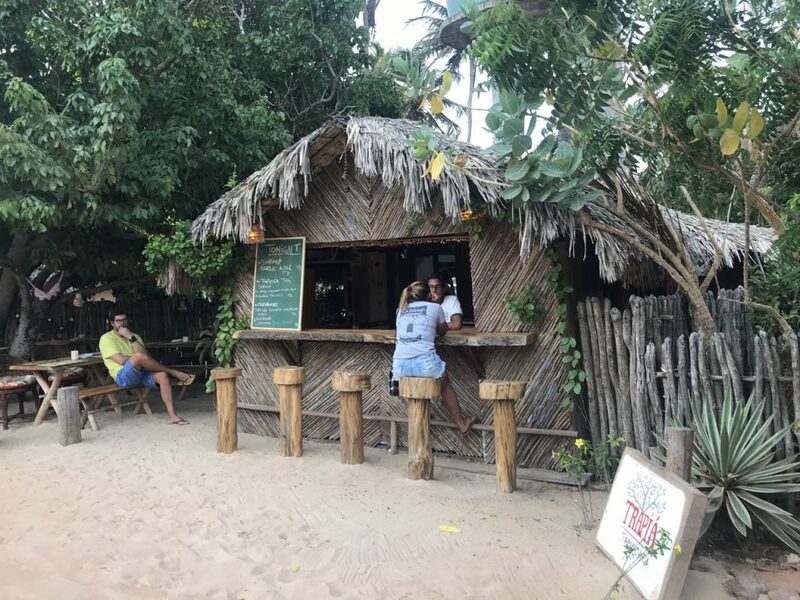 Barra Grande has many bars, some beach front bars, more caribic resort style sleeping like Barra Grande Kite and fine dining options. We were at La Cozinha, eating a three course meal. Very delicious! All in all, I would recommend Barra Grande. It reminded me a bit of Thailand beaches with the nice little bars and food stalls. Touristy but very nicely done. is a normal fisherman village, and the pousadas are scattered over the city. 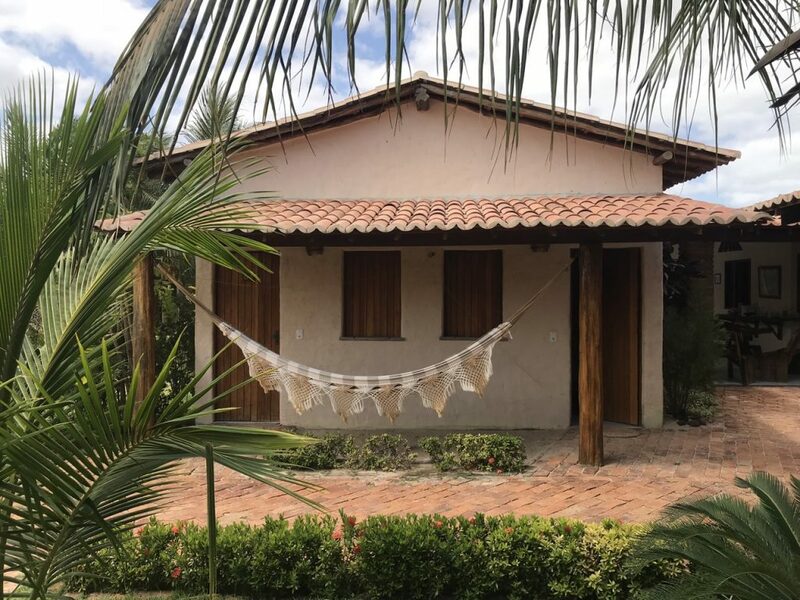 I have stayed in a Brazilian run kite pousada not directly at the beach Pousada Vila Bella. The spot changes a lot during low and high tide. At high tide, you can start directly at the beach, at low tide, you will need to walk 500m or more towards the ocean. There are many pools you can discover, the river delta and the lagoon. Wind here was stronger than in Ilha (mostly used my 9m kite). Tatajuba is a very small village, only reachable by 4×4 on sand road. I had friends staying there so I did a downwind kite safari trip from Prea to Tatajuba, going around Jericoacoara. There is only one kite pousada there from Kite World Wide. I was only there for 2 days but enjoyed it very much. This is the windiest part of Brazil. I used my smallest kite (7m) all the time, the wind being around 25-28 knots. So, the variety of kite surfing spots is huge, I have just covered a few of them. Just go down to Brazil and discover the locations for yourself! Brazil is changing a lot, so the secluded place might be the crowded thing three years from now. Have fun and learn to kite! Did you find the lessons hard? I’ve been so eager to learn kite surfing so badly but have been told that it takes a LONG time to get decent. 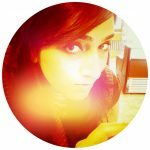 Hi Amanda, it’s a guest post. 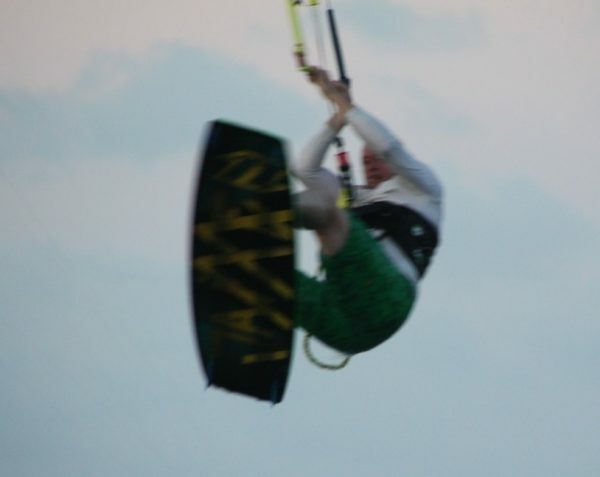 I myself haven’t learned to kitesurf yet unfortunately! Thanks for such a thorough and practical post about the area. I especially appreciated the budgeting details. Great post Fanta 🙂 definitely will go there after I read this! Awesome post. I loved to know more about Kite surfing, specially in Brazil. I always wanted to know how to start this sport. Sounds amazing and the post contains lots of useful information!